Tagged under Alice in Wonderland (Fairytale), Non-Anime, Games. 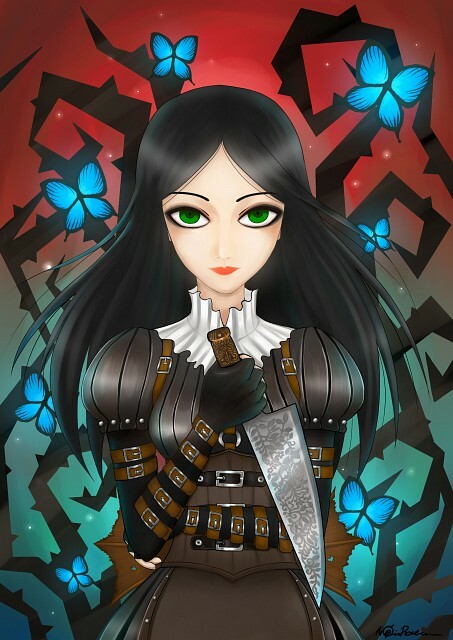 An unofficial sequel to the story written by Lewis Carroll, "American McGee's Alice" is a series of two video games that put a Gothic spin on the fairytale. In this storyline, Wonderland has been corrupted by Alice's damaged psyche, ultimately becoming dark and twisted. Alice's objective is now to return it to its initial state and save her own sanity at the same time.